Interagency Group Designed to Remove Barriers within State Government and Promote Growth of New York’s Agriculture Industry. Albany, NY - March 3, 2014 - Governor Andrew M. Cuomo today announced the formation of the Strategic Interagency Task Force on Lessening Obstacles to Agriculture (SILO) to address barriers to the growth of New York’s agricultural economy. 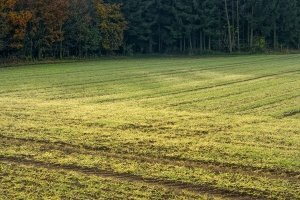 Task force members, comprised of leadership from State government, as well as representatives from the field of agriculture, will work together to ensure that State agencies that deal with farmers are communicating regularly, interacting efficiently, and lessening regulations on farms. The Summit approach implemented by Governor Cuomo has already paid dividends for New York agriculture. Since the inaugural Yogurt Summit, where state government listened to the needs of industry and acted accordingly, New York has become the yogurt capital of the nation and reclaimed its status as the number 3 producer of milk nationwide. New York has also experienced a 72 percent increase in farm-based beverage licenses since 2011, in part as a result of reforms enacted at the first Wine, Beer and Spirits Summit. Additionally, New York is traditionally the second highest producer of apples in the nation and by many accounts, 2013 was the best year for the state’s apple industry in a generation. New York also ranks first in cabbage production, second in maple production, and third in wine and grape juice production. Subject: LongIsland.com - Your Name sent you Article details of "Governor Cuomo Announces First Ever Interagency Task Force on Agriculture"